Saanichton, British Columbia, Canada. He was 81. War II, serving as a radar operator aboard the heavy cruiser USS Fall River during his three years of active duty. Smith Laboratory as part of a U.S. Navy Reserve research panel. stood for years. The photo was later published in Life magazine. 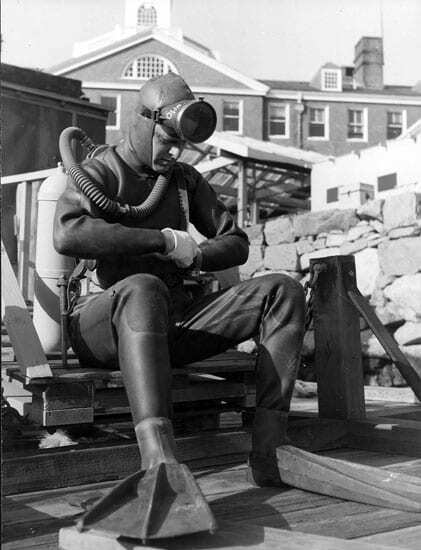 scientific divers, keeping diving records, and diving on many projects. retirement and left the Institution in 1980. Canada and Margaret Owen of Washington; and three nieces. British Columbia V8M 2B2 Canada.